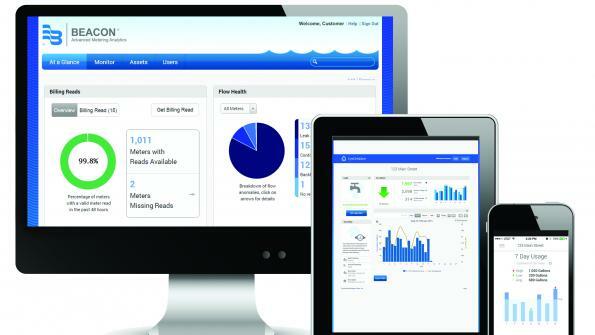 Meadows Place, Texas, implemented a complete water meter change-out in January 2014. As part of the process, the town converted to an Advanced Metering Infrastructure fixed-network system. The setup provides accuracy, efficient data collection and robust reporting capabilities, according to the company. The upgrade to Badger Meter’s ORION Fixed Network (SE) System and Recordall water meters were large initiatives for the self-proclaimed “little city” with 1,600 customers and a population of 4,660 citizens. “We are trying to be the city of the future. Water plays a very important role in this,” says Meadows Place Mayor Charles Jessup. Located just 20 minutes from downtown Houston, Meadows Place is a member of a state-designated conservation and reclamation district. Before the meter upgrade, the town’s Water & Sewer Services department used meters dating back to the 1980s. With the old manual read operation, the utility experienced an average water loss of 10-12 percent each month. “We need to be accountable for every gallon of water. Without accurate meters, we weren’t able to do that,” explains Public Works Director Dan McGraw. “This system provides us with the information we need to accurately and efficiently manage our consumption, both to capture revenue – and to conserve water.” The metering upgrades give system operators more capabilities to detect water leaks, according to the company. The updated system offers access to real-time consumption data. This enables the city to easily respond to customer questions. In addition, customers are able to pay their bills via telephone or other handheld device for convenience. Mayor Jessup says that the system upgrades have helped speed maintenance tasks. “With the ORION system, a job that used to take three people up to a week to accomplish now only takes us one hour,” he says. Click here to learn more about Badger Meter.